All the tools you need to give your yeast the oxygen they need to thrive! Yeast use oxygen during their initial growth phase to synthesize sterols and fatty acids that are used in the creation of cell membranes and reproduction. Properly oxygenated wort can give yeast the resources to grow healthy and strong cultures that can properly attenuate beer without creating off-flavor compounds. Sintered stones can also be used to diffuse carbon dioxide through beer in kegs for quick and efficient carbonation. From sintered stainless steel stones to complete oxygenation systems and inline sanitary filters, get what you need to help your yeast out and make the best beer possible! Safely and efficiently aerate your beer! The perfect setup for oxygenating wort, giving your yeast the oxygen they need for proper development and reproduction. 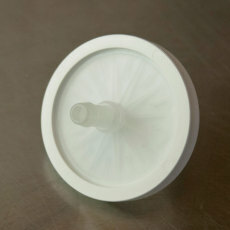 A sanitary filter that is used with aeration systems and with keg hand pumps. An oxygen regulator for oxygen tanks. 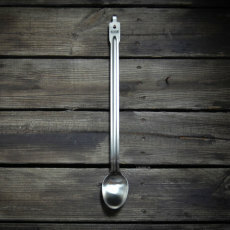 Heavy-duty brewing spoon from Anvil Brewing Equipment that is twice as thick as most imported spoons! 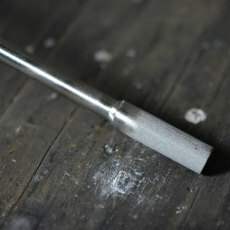 A sintered stainless steel stone with larger holes, often used in aerating or carbonating beer. 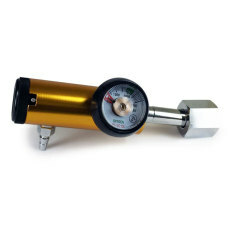 Regulate oxygen from a disposable oxygen cylinder with this regulator, perfect for oxygenating wort! 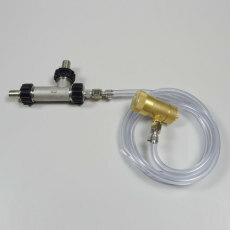 A new, thorough way to oxygenate your wort as it travels into your fermenter, from Blichmann Engineering! 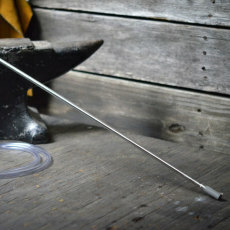 Heavy duty stainless steel tube with integral barb for easy use and sanitation! Wand measures 24 in. 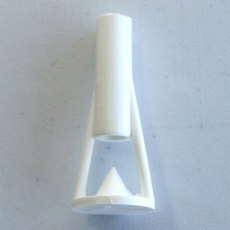 in length, ideal for carboys and bucket fermenters alike. 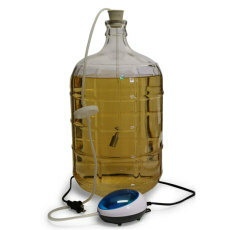 Improve your beers with proper and sanitary oxygenation! Aerates your wort the easy way, no shaking heavy fermenters! 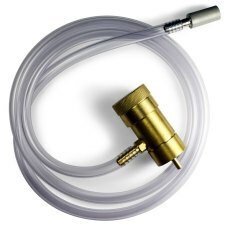 Increases dissolved oxygen in cooled wort, allowing yeast to properly ferment it into beer. 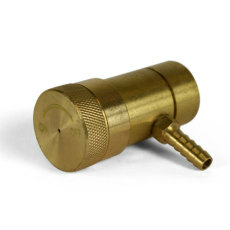 Easy to use, simply attach to the end of your 3/8 in. siphon tubing and start transferring your cooled wort! 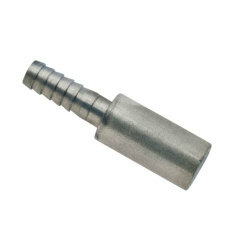 A sintered stainless steel stone used in aeration or carbonating beer.